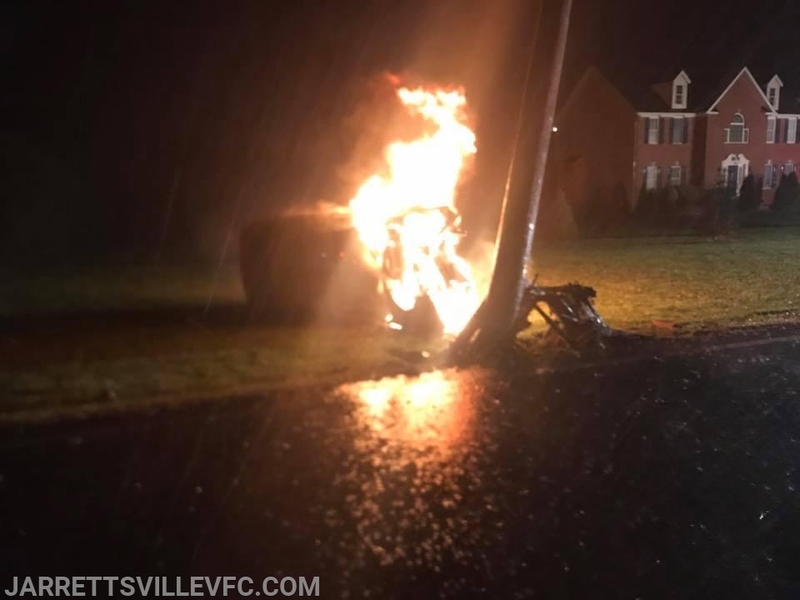 The Jarrettsville Volunteer Fire Company was alerted for a motor vehicle accident with reported auto fire in the area of Norrisville Rd and Jarrettsville Pike. Chief 7-2 arrived and reported a single vehicle on its side which had struck a telephone pole and was on fire. The patient self extricated himself prior to the vehicle igniting. Rescue 751 pulled a single hand line and was able to quickly extinguish the fire. Medic 791 assessed a single patient who refused treatment and transport.